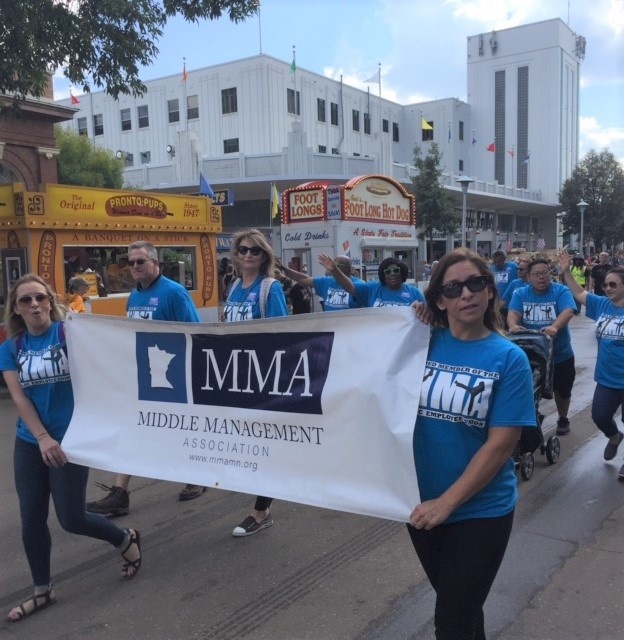 MMA Steps Out in State Fair Labor Day Parade! 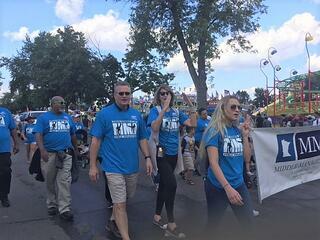 MMA was well represented in this year's Minnesota State Fair Labor Day Parade. 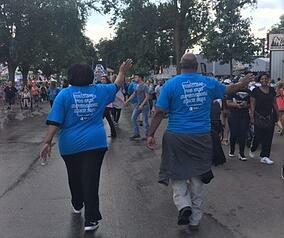 Several MMA Supervisors and family members marched along in our bright blue T-shirts. 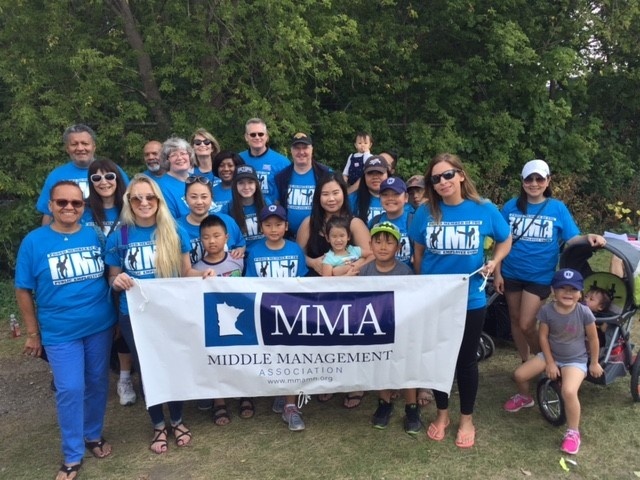 Big ol’ shout out to our board member, MMA Supervisor, Jamie DeAtley, for designing the T-shirts and to her and her daughter for carrying the MMA Banner. The shirts were a huge success…. There were 25 of us together in our group. It’s important that MMA has a presence on a celebrated day like Labor Day!!! 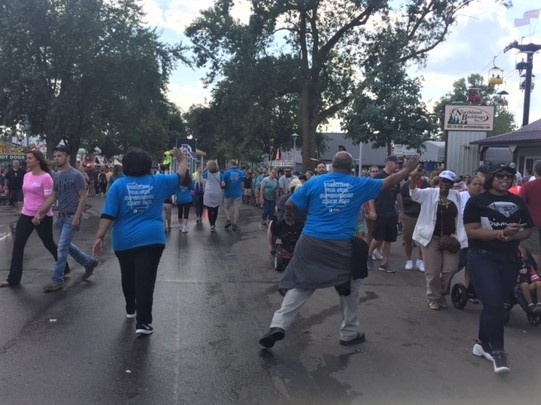 It was powerful to see the wide variety of unions that we marched with…. We were right behind the Carpenters Union and the nurses. It was a huge lineup overall.